Automatically constructing or completing knowledge bases of SOA design knowledge puts traditional clustering approaches beyond their limits. 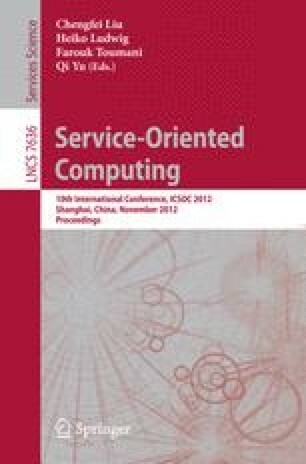 We propose an approach to amend incomplete knowledge bases of Enterprise Service (ES) design knowledge, based on a set of ES signatures. The approach employs clustering, complemented with various filtering and ranking techniques to identify potentially new entities. We implemented and evaluated the approach, and show that it significantly improves the detection of entities compared to a state-of-the-art clustering technique. Ultimately, extending an existing knowledge base with entities is expected to further improve ES search result quality.